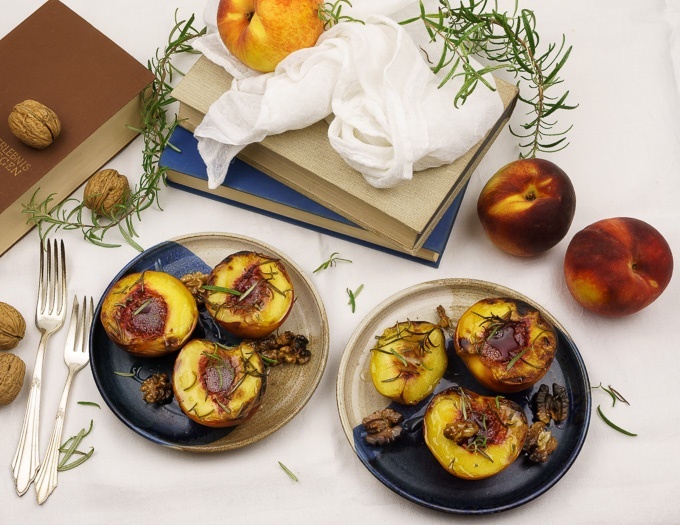 Baked stone fruit to me is not only a yummy dessert but the perfect treat transitioning from summer to fall. 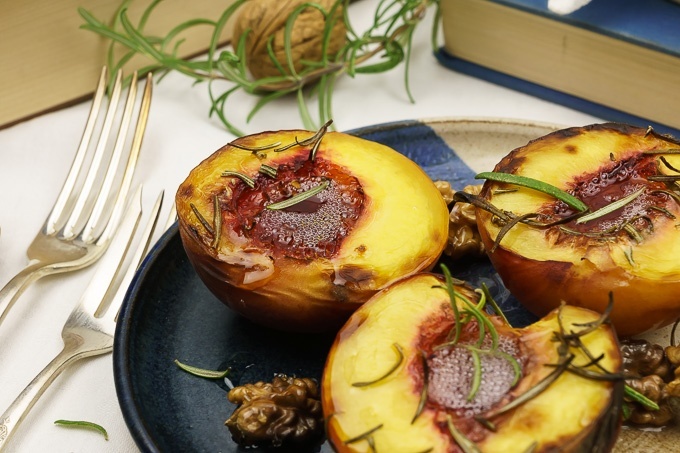 These grilled peaches with rosemary and walnuts are juicy and such an elegant dessert that you can serve them on special occasions when you want to impress your guests. Everyone will be pleased with this fancy-looking and delicious last course of your meal; psst, and you don’t have to tell them that it was oh-so-easy to make. 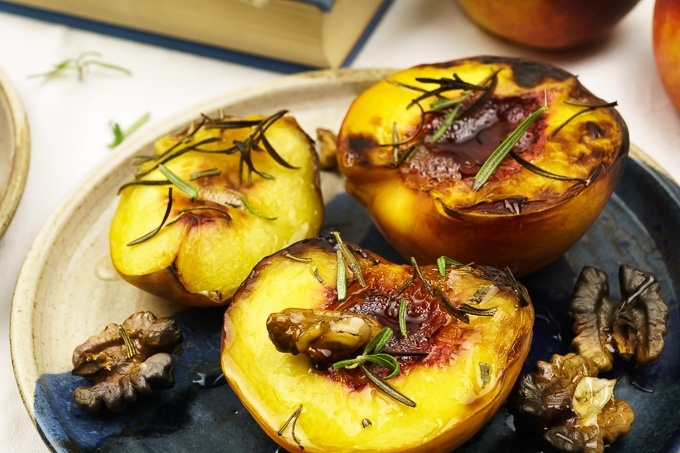 The sweetness of the peaches is enhanced once baked or grilled, and it goes well with the aromatic rosemary leaves. Commonly, rosemary is used as a flavoring in savory dishes, and I can’t imagine life without oven-fried potato wedges with rosemary. 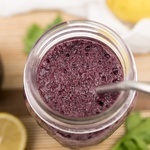 Still, rosemary and fruit make a harmonious match, the herb lending a distinctive depth to any dessert. Since preparing this dish takes only minutes, I’ve made it a couple of times after the peach season started. Now I’m taking advantage of the last peaches I can get my hands on to enjoy this juicy and healthy dessert one more time this year. Preheat the oven to 250° C (grill function on). 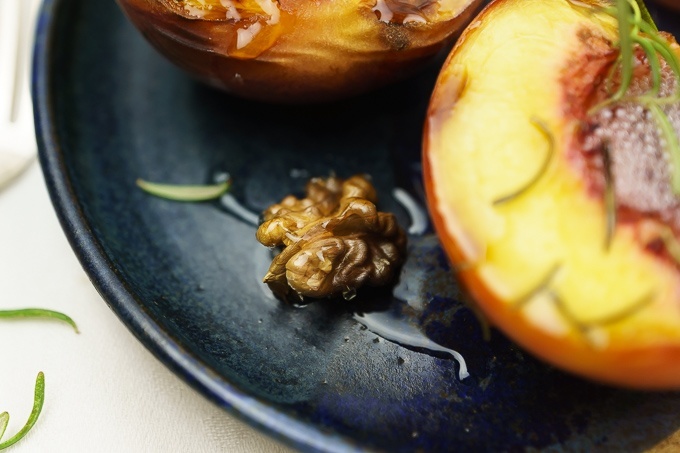 If your oven doesn't have a grill function, bake the peaches in the upper part of the oven. 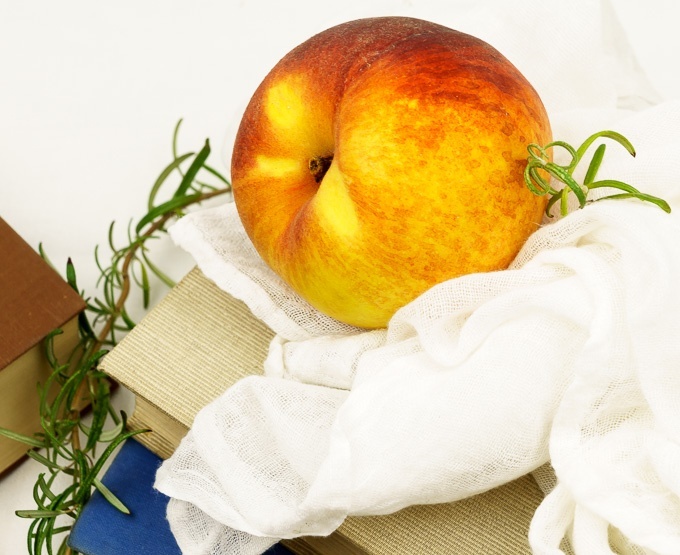 Clean the peaches, split them in half and remove the stones. Line a baking tray with parchment paper und place the peaches with cut sides up on the tray. 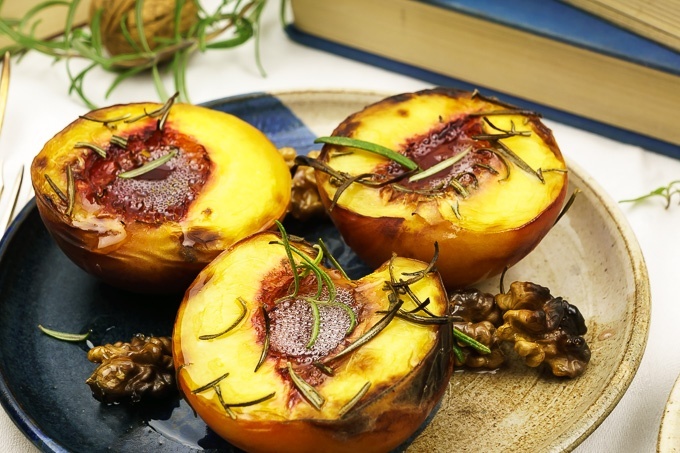 Sprinkle each peach half with some rice syrup and rosemary. Place the walnuts on the tray. 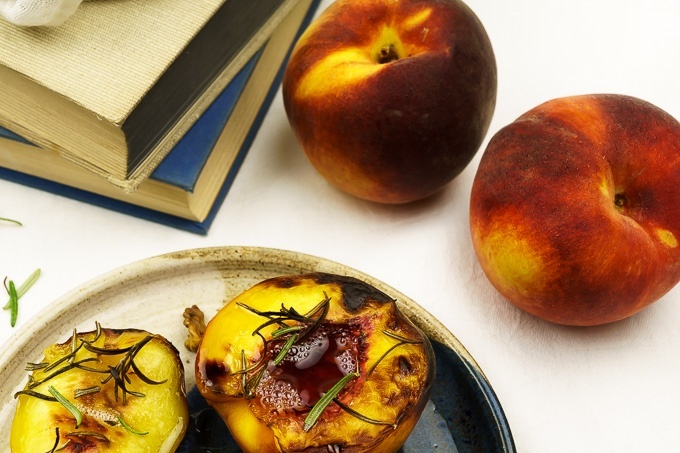 Bake at 250° (grill function on) right under the grill until the surface of the peaches turns golden brown and juicy, between 15-20 minutes. Ideally, serve hot right out of the oven with rice syrup on the table so that those guests with an extra sweet tooth can help themselves.